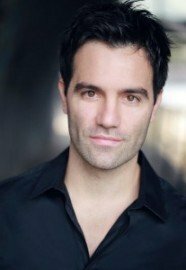 Ramin Karimloo is an Iranian-born Canadian vocalist and performer who has made a significant impact in London’s West End for his portrayals of the Phantom and Raoul in The Phantom of the Opera, and Jean Valjean, Enjolras, and Marius in Les Misérables. In 2010, he originated the leading role in Love Never Dies in the West End, the sequel to The Phantom of the Opera, for which he received an Olivier Award nomination. Ramin played the role of Enjolras in the 25th Anniversary Concert of Les Misérables at The O2 Arena in London. In October 2011, he played The Phantom for three performances alongside Sierra Boggess as Christine Daaé in the unique 25th anniversary production of The Phantom of the Opera at the Royal Albert Hall. 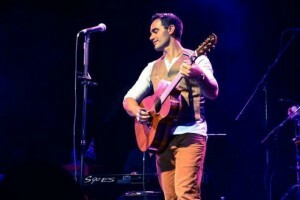 This year has seen the release of Ramin’s debut album Human Heart. The recording includes songs that he has performed on stage including “Music of the Night” from The Phantom Of The Opera as well as “‘Til I Hear You Sing” from its sequel, Love Never Dies. It also includes new songs from famous songwriters, re-worked material and original material from Ramin. Ramin recently took time out to answer a few questions about his career and himself. Enjoy! Your parents fled Iran at the outbreak of revolution, arriving first in Italy and then in Canada, where you grew up. What are your most memorable recollections of your childhood? Well I left Iran when I was very young so I don’t really have memories of that time. My memories begin mostly in Canada. I have a few images in my head of Italy (we went there from Iran) but they are very vague and I can’t really explain them properly but I know it stems from when I used to live in Italy. At the age of 12 you were in the audience of The Phantom of The Opera, and you made a bet with your best mate that you would one day play the Phantom. What was it about the character of The Phantom and the musical that inspired you? It was a collection of things. Colm Wilkinson was a major factor. I loved the way he played it and how unique his voice was. So much soul and emotion. Which only added to this complex character. I am a sentimental guy and this character broke my heart. It’s funny, what attracts me to the role now was not necessarily what went through my 12-year-old mind at the time but I definitely was inspired that day. You went to Alexander Mackenzie High School in Ontario. What are your favourite memories from your time there? I had great friends in High School. Also great teachers who I think knew this was what I was going to do. They were very supportive, all of them. It was definitely a happy time in my life. I gather that while at school you were banned from playing hockey for a year, what positives did you take from that? Well, it was after a fight I got into. The positive was that, taking me out of hockey was probably the best protection I got. The players were bigger and better than me so it was just a matter of time before I either got cut from the team or knocked out. I certainly was not improving at the pace the rest of them were. Thankfully I still wasn’t worried about taking bumps on the ice at the time. I left on a high. You began your performing career in rock bands before moving on to perform for theatre companies, and then for Airtours and P&O Cruise. Can you tell us about this time in your life? It was all a learning curve. I was experiencing as much as I could. Folk, Rock and Indie music was what inspired me as a kid. Movies with DeNiro, Pacino, Brando, Daniel Day Lewis started to make me want to be like them. Then I saw Phantom and saw a character I wanted to play to add to the list. So I was trying to do everything at once. It was a crazy time in my life, especially in the band days and living in downtown Toronto. Man, crazy times indeed. Ironically, I now think about it and think, I’m still doing the same. Just with a bit more experience and stubbornness. After moving to England, you first role was in the pantomime Aladdin, in which you played the title role. What can you tell us about this experience? That was crazy. I never had seen a panto before and really didn’t know what to expect till the audience came in. No one really told me how pantos work. It was a lot of fun though and a stamina builder. That’s for sure. You have toured with The Pirates of Penzance, Sunset Boulevard and Miss Saigon. What do you enjoy most about being on tour? Touring is great. You get to see some amazing towns and every time you move to a new theatre there is a slight sense of a new lease of energy. You work towards so many press nights it constantly keeps you on your toes and it’s great to see how the show evolves throughout a tour. I love the sense of community you can get if you get a cast that gels. Miss Saigon was the longest and heaviest tour I did. What a great family that was. In 2004 you performed as Enjolras in a special concert of Les Miserables at Windsor Castle in front of Her Majesty The Queen. Can you describe that experience? I’ve been part of some extraordinary moments in my career already. This was the first of them. It was like a whirlwind putting this together while still doing the show at the Queen’s Theatre. Singing the people’s song in French was a great experience too. You made your West debut in Les Miserables playing Feuilly and understudying the roles of Marius and Enjolras. As an actor, how does it feel to be performing in one of the world’s greatest musicals and also in the West End? It felt great. The memory still feels great. I still remember some really fond times with that cast. That was the cast where I understudied Hadley Fraser and it’s great to know that we’ve remained close and have worked together on numerous occasions since. Taking on the role of Raoul, you added The Phantom of The Opera to your list of credits. How did it feel to finally be a part of one of your favourite musicals? That was a real turning point for me and how I approached many things. One thing about working at Her Majesty’s Theatre was how much I enjoyed being in that building. Raoul was a great role and it was a great journey. I don’t think some realize how big and vital that role is. Although I still think growing those side burns was a bit excessive. But a lot of my memories of that time land on the shoulders of Sam Hiller. That guy is a joy to be around on and off stage. Every time I reminisce with anyone from that time, his name will come up. Great times indeed. At the age of 28 you achieved your ambition in not only performing as The Phantom but also becoming the youngest ever Phantom of the Opera at Her Majesty’s Theatre. Having achieved a life-time ambition, how would you describe this moment? Surreal. But I can honestly say, I was there for 2 contracts. Till the final day, it was exciting and fun. I was so grateful to play that. I knew it’s not a role I would keep playing so I wanted to make the most of it while it was there. Deep down for some reason I never veered from the fact, that will be role I will play. Never did I imagine it would happen so soon in my career, even though I envisioned portraying The Phantom young, and never did I think my timing with that show would have been so fortunate. 21st Anniversary and the 25th Anniversary. Pretty sweet. It was a great show, role, and company to be part of. You performed in the 25th anniversary concerts of The Phantom of The Opera and Les Miserables. How would you describe being part of these two memorable occasions? Well like I said, I’ve been very fortunate I think with my timing as much as my work ethic to be part of some extraordinary events. I feel so proud to be part of those casts sharing, performing and celebrating those occasions. The stage was full of talent that has and does inspire me and some of those folks have paved the way for us. So it was a huge honor to play a role in both. I’m forever grateful to have been asked. You created the role of the Phantom in Love Never Dies. Why do you think the sequel to The Phantom of The Opera wasn’t a success? Ah, this wonderful question. Do you know, I have my thoughts on this but I’ve come to realize that a lot is also down to luck. There were some other amazing shows that didn’t last the 18 months we did. So I don’t think there is ever one thing that makes or breaks something. I have opinions on some of the things that I don’t think helped but again, some would say those weren’t the issues, it was this or that etc. It’s like the story itself. There was no one way to tell it. I think we proved that with the different versions, but the point is, the original is loved by many. Those who did want a sequel could probably give you a detailed synopsis of what they think happened next. There would be many different takes on it. All of them would be valid I think. So, it’s just matter of sticking to your instincts, tell the story you set out to tell and hope people come along for the ride. If they do, they do, if they don’t, well, that happens too. That being said, when the show finished I said to someone, it’ll be back somewhere in the UK within 24 months. That’s my prediction anyhow. But I did have a great time. It was a hell of a score to sing and a massive challenge to put that character together. I also connected with one of my dearest friends who I love, respect and adore, Sierra Boggess. Your music career has taken off in 2012 with the launch of your debut album Human Heart. Can you tell us about your inspirations behind the music? It’s a starting point. The whole music side for me is going to be a process I do not want to rush. I’m fighting my sound, my music which will take time. I know what my influences are and my instincts are inspired by Country and Folk music and at times Indie Rock. But I’ve spent the last ten years on the stage. So I’m taking time to rediscover music that inspires me and understand that. I kind of see albums as chapters in a book. Chapter one gives you an introduction. That story then goes on from there. But you know above all that, you just have to sometimes go with the flow at the time. I can’t think too far ahead about where the next step is while I’m learning about what’s going on now. So I just want to find my sound over time and have fun doing it. Everything evolves anyways so what you do on one album will be different from another, especially coming from my background which is pretty eclectic at the moment. I already feel my second album will sound a lot different from the first one. But I’ve had time to tour the UK and the East Coast of America. I’ve gigged. I’ve written songs and gave them feet on tour to see how they feel and connect for myself more than anything at the moment. I’ve learned a lot as well. So ‘chapter two’ is definitely underway. Touring the UK and US singing music from your album on “The road to find out”, what did you find out about yourself? And what did the audiences find out about you? I think folks are finding out that I’ve got an eclectic taste. That’s for sure. Many I’m sure did not expect the banjo to be brought out. As for myself, well, I’m still learning. I learning to trust my instincts more. As people, no one knows yourself better than yourself. Sounds like it should be easy, right? But for some reason sometimes you can find yourself doing something and then thinking, actually, this is not what I set out to do. But you have to go through those moments too, right? Both tours were successful and a joy to be on. I really like touring and gigging. I prefer the smaller intimate venues at the moment. I’d rather chalk up some more miles before hitting the big halls again if that’s where I’m meant to go. Have you thought about a second album and if so what can we expect? I am going to make the album more intimate and personal. It will definitely have more of my writing. There’s a couple of theatre songs that have crept up that I think are beautiful that I would like to try and include. But that sort of stuff will be further down the line when we have a selection of songs that help tell ‘chapter two’. As a young boy you had a dream and you have now performed at the pinnacle of theatre. What challenges are next for you as an actor? The pinnacle of theatre? I guess I don’t see it that way. I’ve had some big moments I guess that were on huge platforms but for me there’s a hell of lot more I’d like to accomplish and learn. There are places I’d still like to work and shows I’d like to do. So for me I don’t feel I’ve ‘reached’ any point. I just feel grateful that I have some different doors that have been opened because of the road I’ve been on so far so I’m just trying to prepare myself as best I can to be ready for what could be behind those doors. Hopefully in what will be a lengthy and varied career, these will be just moments amongst many. I hope. You ride a Harley Davidson, what or who inspired that dream? As a kid living in Peterborough Ontario, a good buddy of mine was a biker. He had dirt bikes. His dad was the archetypical Harley rider. 6′ 4”, beard like ZZ Top, and one tough, tough dude. But a soft-hearted guy as well. Great guy. I remember him roaring up the road either solo or with his what may have been his fellow MC riders and thinking that is the coolest sound. Riding is a great way to clear the mind and I still need to do a big ride out with other’s on the road. I bet that’s a great way to spend a day. I gather that you have an ‘arm full of tattoos’, with trees, angels and poetry. Why those tattoos and why they are important to you? I’m a fan of body art and I always want to ink up. It was just a matter of realizing what I wanted represented on my body for life and also getting the moxy to do it. The main thing was to not worry about work. I’m sure there’s a line but you know, you live once. No rewinds. Always worrying about the what ifs can really stifle what could be. If there was one brief phrase to define you, what would it be? I will forever be grateful to them supporting me at my shows and concerts. When it comes to the gigs, they entertain me as well. So much fun. Thank you Ramin for an insight into your life and career. The selection of songs will include … Music of the Night, Make Them Hear You, Bring Him Home, See Her Smile, Coming Home, Constant Angel, When Does it Go Away, Losing, Driftwood and Somewhere. Sunday 25th and Monday 26th November 2012 Doors open at 7:00pm and the show starts at 8:00pm. Tickets cost £25.00 + booking fee – The show should last about 1 ¾ to 2hrs.